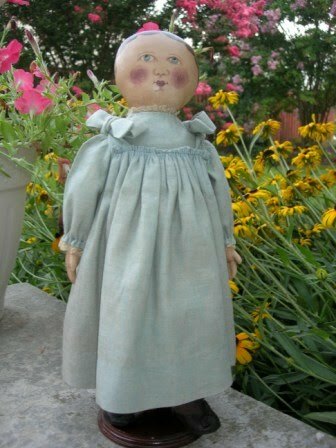 Gail Wilson's Columbian Doll Pattern is inspired by Miss Columbia at the Wenham museum. The pattern she sells is in an 11" size. Gail designs her patterns with very detailed instructions so that if you follow the instructions you will get a doll very similar to the pattern picture. This is a very good thing for a beginning doll maker. 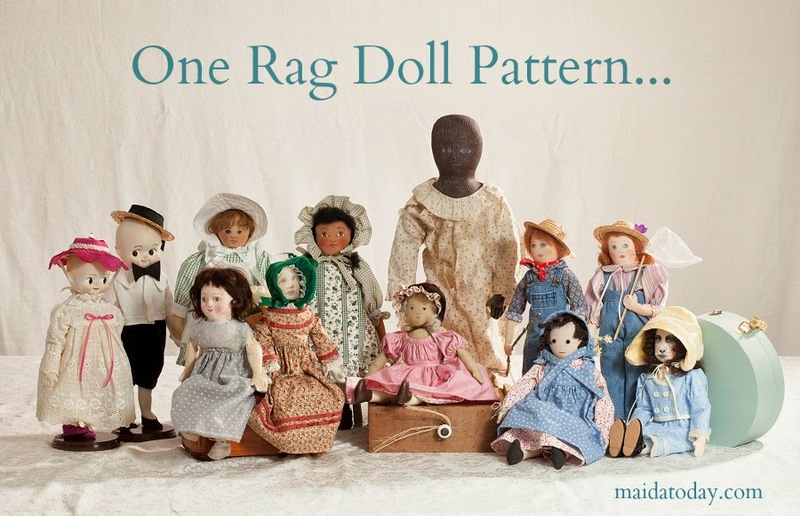 But I know many quite experienced doll makers enjoy her patterns as well. I admire Gail's design sense and work ethic. She creates patterns which honor the original creations but also instills her own touch into her pattern designs. 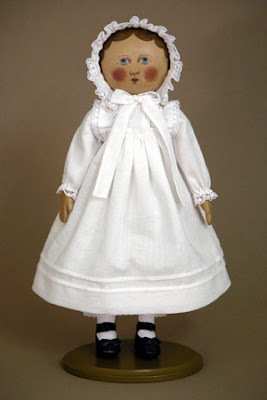 Some years ago, the Wenham Museum asked me to do a small kit series of the Miss Columbia doll who lives in their wonderful collection of historical dolls. 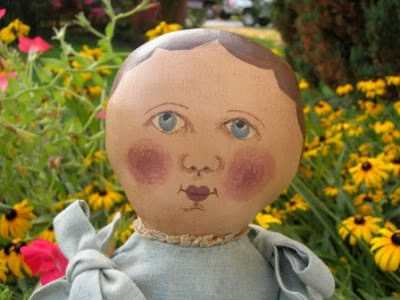 This doll, originally a painted cloth 19" tall doll, is probably the most famous of the many dolls made by the Adams sisters in the late 1800's, having traveled led the world raising money for children's charities in 1900. 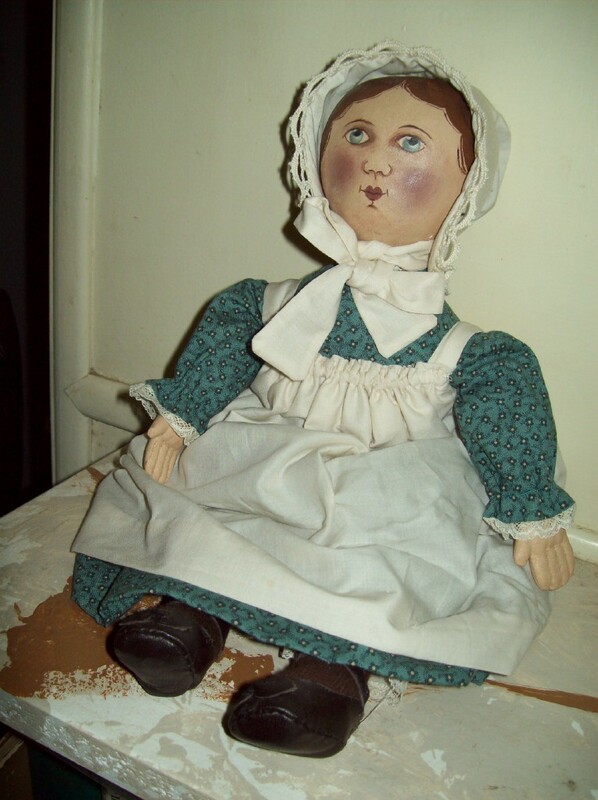 The doll on her tour raised a remarkable amount of money for the times and everywhere she went, accompanied by her trunk, diary, coat and bonnet, she was given gifts by the children she visited. 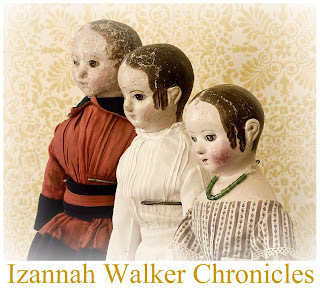 Many of the gifts still live in the museum with the doll and her things and part of the proceeds of this series will go back to the museum for the support of its collection. 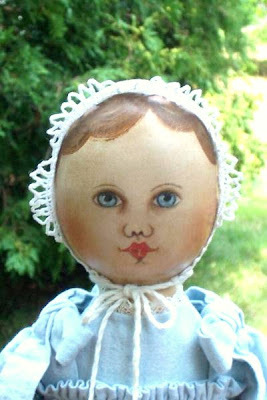 The original dolls and kits that I did were in a 14" size which are shown farther down the page. This is a pattern for an 11" version of the same doll. 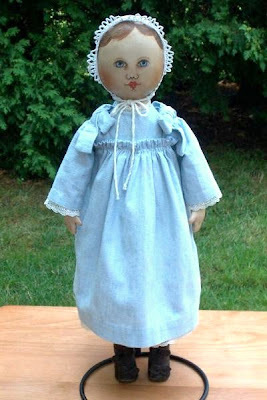 The extensive pattern for the sweet 11" size contains patterns and instructions for a girl with bonnet, boy, black versions, other clothes including small sized coat and bonnet. Click here to view the pattern at Gail's site. Gail Wilson pattern made by Pam in Australia. I absolutely LOVE Gail Wilson patterns. I always learn something new when I make one of her dollies. I'm really enjoying seeing all of the Columbian dolls!